Looking for a dishwasher technician in White Rock? Look no further! Our company is here to set up some of the quickest services, regardless of where you are in the area. Your dishwasher is an important home appliance. That is why it’s vital to keep it in good shape all the time. If you have noticed any troubles, don’t delay! Just give us a ring and schedule same day dishwasher repair in White Rock, British Columbia. 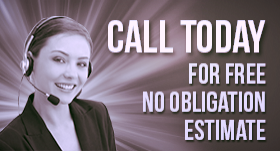 One of the local experts will be there at your doorstep in no time! Appliance Repair White Rock is your best option for a prompt and reliable dishwasher service. So whether your unit is not cleaning properly, making abnormal noise or leaking, turn to us right away. We realize how much you rely on your machine. That is why we are ready to dispatch a skilled tech at a day and time that it’s convenient for you. Each White Rock dishwasher pro has the experience and expertise to deal with all possible failures. With the help of advanced tools, the dishwasher technician will identify and fix your problem right on the spot. If you have notice any of these symptoms, call our company. Whatever the case is, the local pro will find the best way to resolve it! Dishwasher installation requires specialized skills and knowledge. Unless you are an expert, we don’t recommend performing the job yourself. Better get in touch with our company and we will take care of your needs. The local techs are familiar with all makes and models of dishwashers. From drawer and built-in to freestanding models, they can fit any unit right the first time. 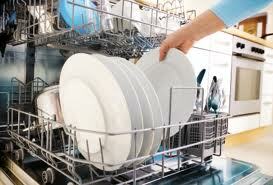 To get help from a licensed dishwasher technician of White Rock, please contact our company. We can’t wait to assist you with any service you may require!